Fri., Feb. 9, 2018, 1:40 p.m.
ASHEVILLE, N.C. – Tennis fans anxiously awaiting Serena Williams’ return to competitive tennis will have to wait one more day. Williams won’t be playing in either of Saturday’s Fed Cup singles matches as she makes her comeback five months after becoming a mother. Williams teams up with Lauren Davis to face Lesley Kerkhove and Demi Schuurs of the Netherlands in Sunday’s doubles match. Williams, 36, hasn’t played an official match since winning the 2017 Australian Open. Williams later revealed she was pregnant during that tournament. Although Williams isn’t scheduled to play any singles matches this weekend, that could change. U.S. captain Kathy Rinaldi has the right to change her Sunday lineup after Saturday’s play. “We’ll wait and see how tomorrow goes and then we’ll make our adjustments, if any,” Rinaldi said Friday. The U.S. will have Venus Williams take on Arantxa Rus and CoCo Vandeweghe will face Richel Hogerkamp on Saturday as it opens its Fed Cup title defense. Sunday’s scheduled singles matches have Venus Williams facing Hogerkamp and Vandeweghe taking on Rus. But this weekend’s headline is the return of Serena Williams, who participated in a Dec. 30 exhibition match but otherwise hasn’t played since that 2017 Australian Open. Williams said Friday she’s unsure about how she will manage her schedule and whether she will play all three remaining Grand Slam events this year. 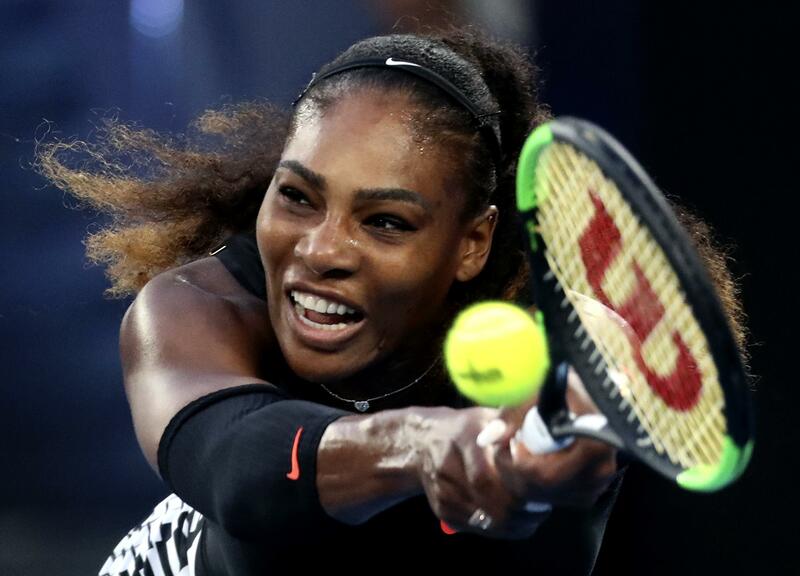 Williams’ 23 Grand Slam singles titles put her one behind the record held by Margaret Court. Venus Williams has been impressed with her younger sister’s parenting skills. She mentioned there are “moments that have just been hard, getting back out there doing it every day.” Williams had told Vogue magazine that she developed several small blood clots in her lungs after her daughter was born. “It actually is a really perfect opportunity to try to come back,” Williams said. AP Sports Writer Melissa Murphy contributed to this report. Published: Feb. 9, 2018, 1:40 p.m.